I am a Filipino food lover period. But sometimes I go overboard cooking the same usual dish and would stress me thinking about what to cook later, tomorrow on the weekend and so on. Whenever I try to look for recipes that I could experiment I would usually end up not cooking them. Why? Some key ingredients are either hard to find nor expensive for someone like me who needs to budget properly to be able to save for my wedding soon. And so in search for recipes I came across the SM Hypermarket Master Chefs, this is something new that SM is currently offering for everyone. On this edition of the Master Chefs, we have Chef Kai a Diploma holder of Professional Culinary Arts Center for Asian Culinary Studies. She is a retail Chef from San Miguel Purefoods Culinary Center handling Magnolia Poultry, Purefoods Hormel and San Mig Coffee. 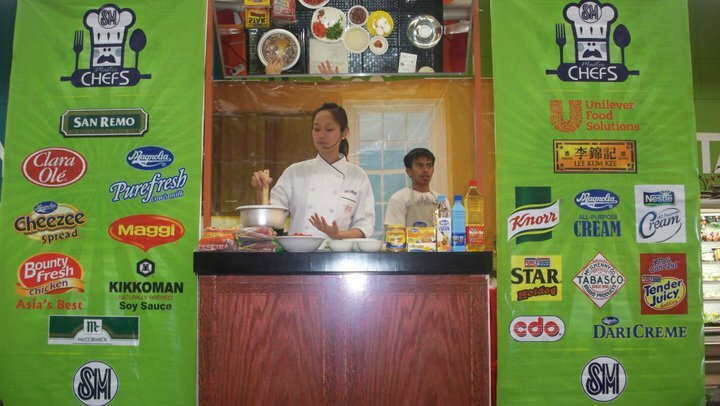 With so much more luck San Miguel Foods Corporation is the sponsor for this event. What is the SM Hypermarket Master Chef's event all about? This is an event wherein SM Hypermarket opens another gate for their shoppers to stop, have a seat and learn some dishes that are new, yet affordable and easy to prepare for the whole family to enjoy. Just what I needed, plus bonus is using San Miguel Foods Corporation products as their main ingredients makes the process all the more easy since these products are available in almost all supermarkets nationwide. 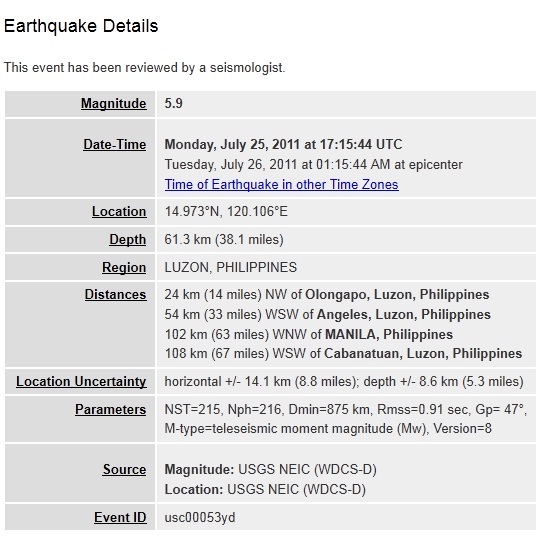 Today, 26th of July, a few minutes past 1 AM, Some parts of Luzon and Manila felt another earthquake Magnitude 5.9 . 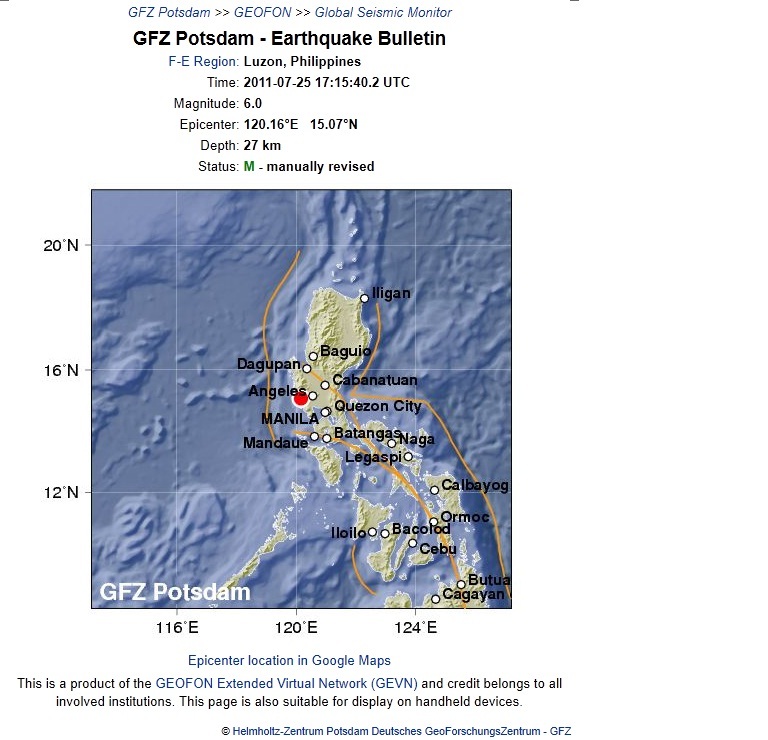 My heart is still a bit nervous since the last time I felt the quake was when I was still in grade school so feeling it all over again makes me worry. ABS-CBN once again presents a new teleserye that we will surely be proud of... Reputasyon. What if your reputation was put on the line because of false accusation or a web of lies and deceit? ABS-CBN takes drama on a different level via Reputasyon which started airing July 11, 2011. Part of ABS-CBN's Kapamilya Gold, Reputasyon is led by no other that Cristine Reyes. As she embarks on a new role that promises to be her most challenging by far, Cristine is ready to put her reputation on the line for her new show. "Itataya ko po ang reputasyon ko, maganda po talaga ang kwento nitong bagong show namin. Pinag isipan po ng mabuti at pinaghandaanpo ng aming mga manunulat at produksyon," Cristine shared. Cristine plays the role of Agnes De Los santos, a simple woman with big dreams for her family. However an event changes her life in ways she was not expecting. With Cristine in thie teleserye is her real-life sweetheart, Rayver Cruz who plays Henry. "Pakiramdam ko hindi ako nagtratrabaho kasi masaya kami sa set. Masayang masaya ako na kasama ko si Cristine dito sa show. Bihira lang naman kasi yung pagkakataon na makasama mo sa isang projext yung mahal mo sa buhay. At ang project na ito, maipagmamalaki namin, exciting ang magiging latag ng mga kwento," Rayver said. Jason Abalos will be completing the love triangle as Boyet. jason shared in an interview that he is very much enthusiastic about this project. This is also the comeback project of Aiko Melendez who took a hiatus in the television scene for quite a long time. Aiko plays an offbeat role that will make us all remember that she was indeed one of the most brilliant actresses during her early years. Ms. jaclyn jose, lito Pimentel, Emilio Garcia, Deborah Sun, Jill Yulo, Andre garcia, and John james Uy. Acclaimed directors laurice Guillen and Celso Ad Castillo completes the cast. Reputason airs weekdays after "Happy Yippee yehey" on ABS-CBN. Samsung once again shows no sign of stopping ... another Breakthrough in the world of Technology! As if the latest announcement of the latest smartphone, the Galaxy S II and the newest tablets, the Samsung Galaxy Tab 10.1 and 8.9 were not enough to put a twinkle in our eyes, here comes Samsung once again announcing another deliciously desirable gadget, the Samsung Galaxy S WiFi 5.0. This latest edition to the Galaxy line-up, in the “tech-savvy world” is known as a mobile internet device (MID). What, if you may ask, is a MID? The new Galaxy S Wifi 5.0, for lack of a better description, is the beautiful marriage of a touch MP3 player and an AndroidTM tablet. It has the processing power of a Galaxy Tab and the portability and sound clarity of a touch MP3 player. It has access to hundreds of thousands of apps on the AndroidTM Market and have the stunning visual display you would wish on your mp3 player. In other words, it’s the“MINI TABLET” for the entertainment enthusiast. 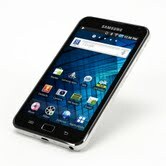 Samsung recently launched their newest Smartphone: The Samsung Galaxy S II. Held in A. Venue Makati City, this is one of the best gadget launch I have attended. 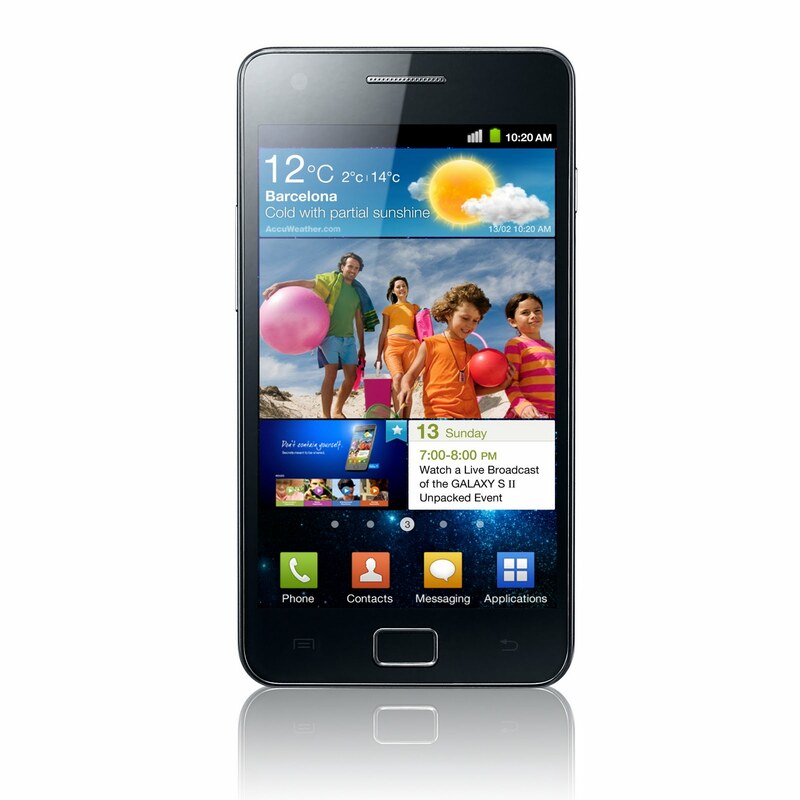 Manila, Philippines - Samsung Electronics Philippines Corp. (SEPCO), the leader in Android smartphones, announced that the Samsung GALAXY S II (Model: GT-I9100) is finally here. The Samsung Galaxy S II is the first 4G phone to hit the country that is faster, brighter, smarter and slimmer versus its highly successful predecessor, the Samsung Galaxy S. The Samsung GALAXY S II bears with it the latest Android smartphone OS, the Android 2.3 Gingerbread. Complementing this latest operating system is an uber fast 1.2GHz Dual Core processor, unparralled display quality on a 4.27” Super AMOLED Plus screen, an ultra-smart voice solution feature that enables the user to call, text, email and even surf the internet hands-free. "We're are very excited and proud to bring in the first 4G Android smartphone in the country that not only pleases the eye but delivers the most delightful smartphone experience," added Coco Domingo, Product Marketing Head of SEPCO’s Mobile Communications Business. here's a bunch of coca-cola stuff that Jay (my fiance`) and i are collecting. A few coke bottles with different coca-cola logos. Coke in cans my hubby seriously collects because he said these cans has something different in each of them: logo, design, the shade of red he really spends time looking into these cans whenever we go to the grocery plus these cans are empty yes they are sealed but empty we created a hole underneath it to be able to remove the content because we thought it might burst on it's own because of pressure issues if not removed. 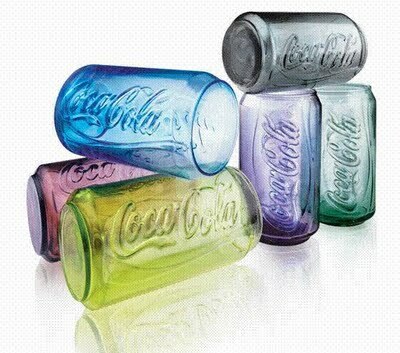 And finally the coca-cola bottles from McDonald's. The first time it hit the stores we had a hard time completing them since of course you still need to buy a meal before you could actually add Php25 and purchase it (budget issues) plus the fact that sometimes all the colors were not available, The second batch that came out we almost gave up because we only had like 2 pcs of it. Then one morning before Jay comes home from work he called me up and told me that McDonald's near our office has a complete set available and people are going crazy so immediately we decided to just go get them... he ended up coming home carrying the complete set of glasses plus 6 sets of hamdesal meal hahaha. Wondering what this is all about???? The new set of MCDonald's Coca-Cola Glasses is coming in July 2nd and we want them all and if we could get it for FREE it will be a Blast!!! A great addition to our growing Coca-Cola collection. c o k e is it! ready... new set... go!!!! time to get back to work... ka blog!